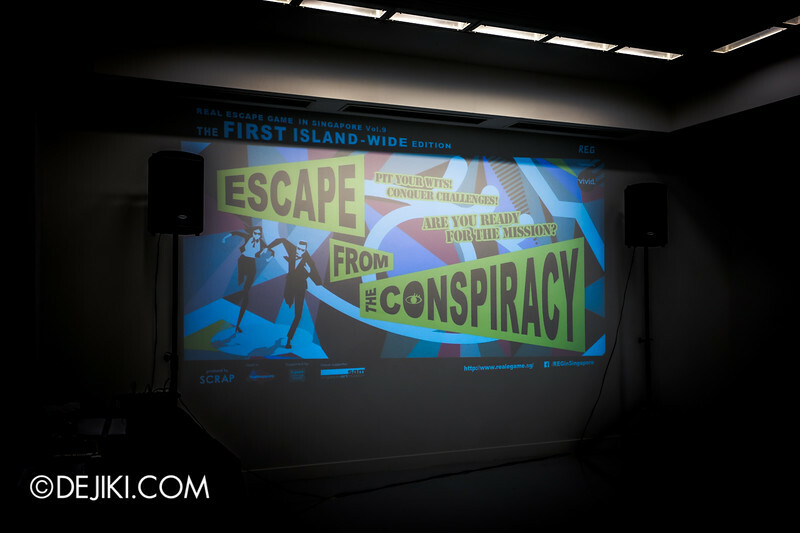 Solve puzzles on the streets and unravel a conspiracy at Singapore’s First Island-Wide Escape Game! 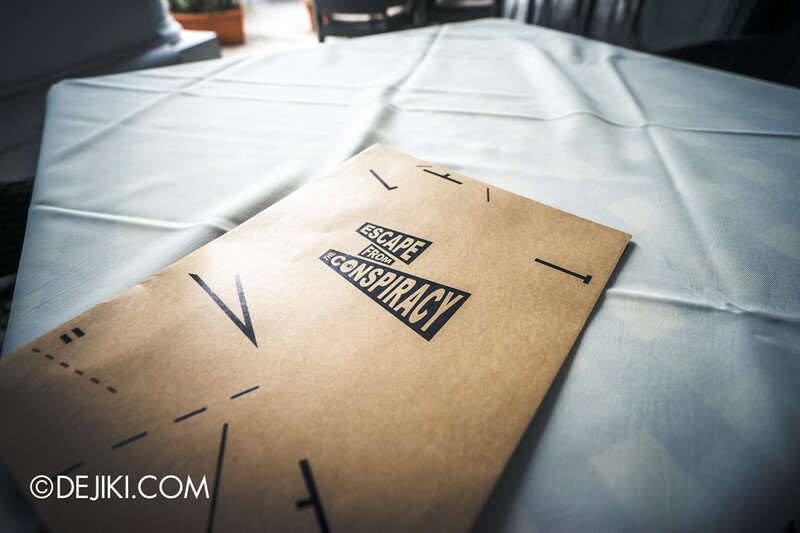 Read all about the Real Escape Game Vol. 9 here. Escape Room Game is a popular activity where people pay to be locked in a room and challenged to escape within a time limit. In the room(s), players have to find clues and solve puzzles. Such games have taken up much of money and my time during weekends. As a form of attraction, it is similar to paying to get scared – because you pay to get locked up, and the thrill is the (mis)adventure of breaking out. 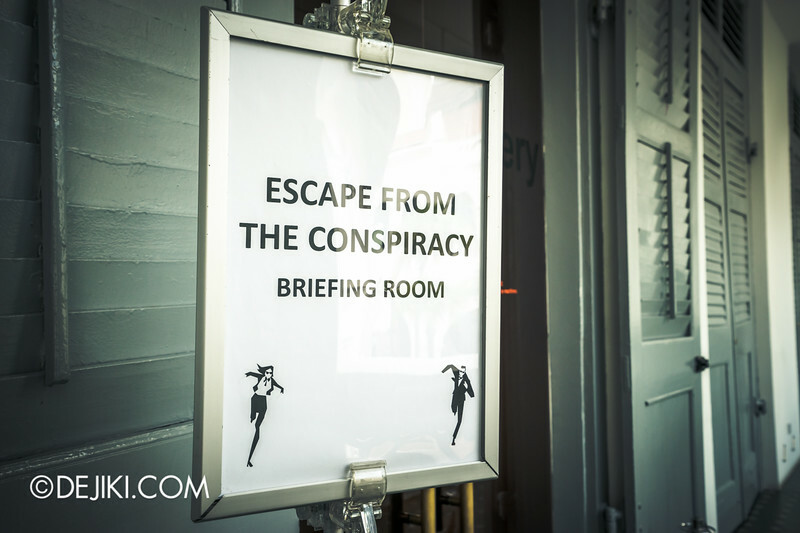 Real Escape Game (REG) is the only producer of large-scale escape games in Singapore, a breakaway from the usual ‘Room’ concept. The 9th Volume is the largest edition yet, and it takes place at multiple venues within the city. This event takes place every Saturday and Sunday in June 2015. The experience starts at the Singapore Art Museum (SAM), where the mission briefing takes place. As I’ve agreed to keep this post spoiler-free, I can’t include details on the game mechanics and puzzles. So I’ll elaborate on the game experience. Unlike escape rooms where you are ‘trapped’ in an enclosed space with your friends, REG events are held at a larger scale. Something like a ‘massive multiplayer’ escape game. After the briefing in SAM, I formed a group with three others. We had to figure out the location of the next station based on a clue in the briefing (It’s pretty easy for anyone who visits SAM often). The event staff handed us our Confidential mission envelope – and the game truly began. There is no ‘room’, so there isn’t actually fancy props and interactive tech wizardry for most parts of the game. Instead, the main experience is solving puzzles to get hints on the next station. Some puzzles require matching to physical locations, while the rest include pen and paper puzzles. The first round alone was a series of 6 puzzles, which are clues to the next stations. If you are used to the linear sequential sort of escape game rooms, this REG can be overwhelming. However, there are many ways to play, and the good thing is you can work with other players (be courteous when you approach strangers, of course). If you’re with a team of friends, it is wise to divide and conquer – both the puzzles and stations. For those who want to enjoy puzzles without having to worry about time, rejoice. There is no time limit for this escape game. Although the event stations close at 6pm, you can resume your game on another day. While the game lacks the thrill of ‘breaking out’ of a room, it offers the satisfaction of completion. 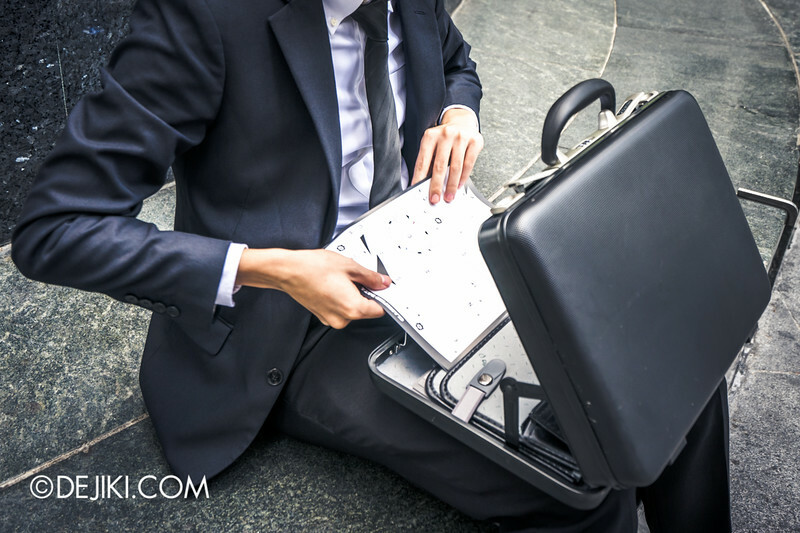 Unlike other escape games where you are limited to a few hints, REG allows players to bring their mission file and puzzles back. You can get your friends to help, or even join up with strangers who are participating in the game. So at least your $27 isn’t gone down the drain should you run out of time (or brainpower) at your first attempt. It’s a different story for most escape room games. This is also unlike most escape rooms where there is that exhilarating thrill when opening a box, unlocking a door or discovering a vital clue. Instead, you get satisfaction from solving puzzles and matching clues to physical locations. We didn’t have time to play the entire game, but we at least have all the locations figured out (except the last station – The Conspirators’ Headquarters, which probably requires information from all subsequent stations) in the first 45 minutes or so. It’s fun to re-explore some of these venues, and of course, it pays to be observant… though it’s easy to spot the game’s ‘characters’ due to their attire. From the results of the first weekend, this REG can be done in less than 4 hours – if you’re good, that is. Players who are not confident of their skills should consider attending the 11am briefing, as they’d get at least 6.5 hours to finish their game. Either way, this isn’t a quick 45-60 minute escape game. Be ready to spend an afternoon for this, and oh – you’ll need your own means of transport between stations (MRT would be adequate). 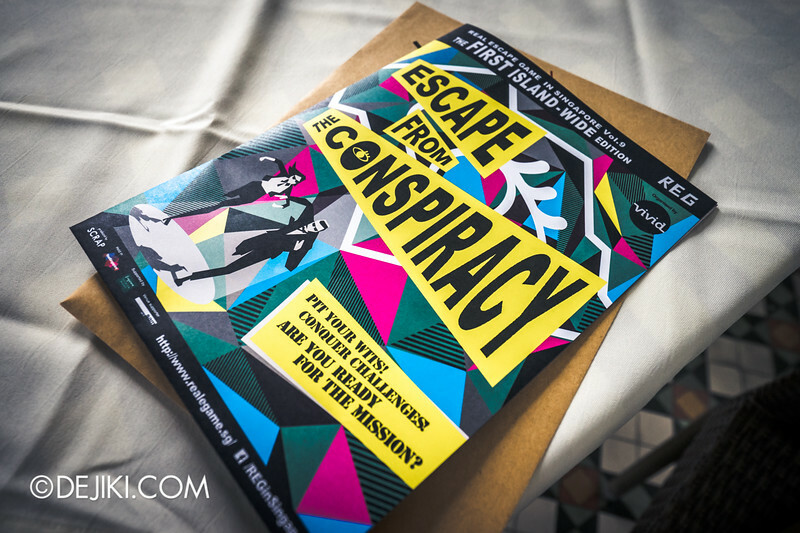 Are you ready to Escape from The Conspiracy? This event is available in June 2015 only! Grab your tickets now. 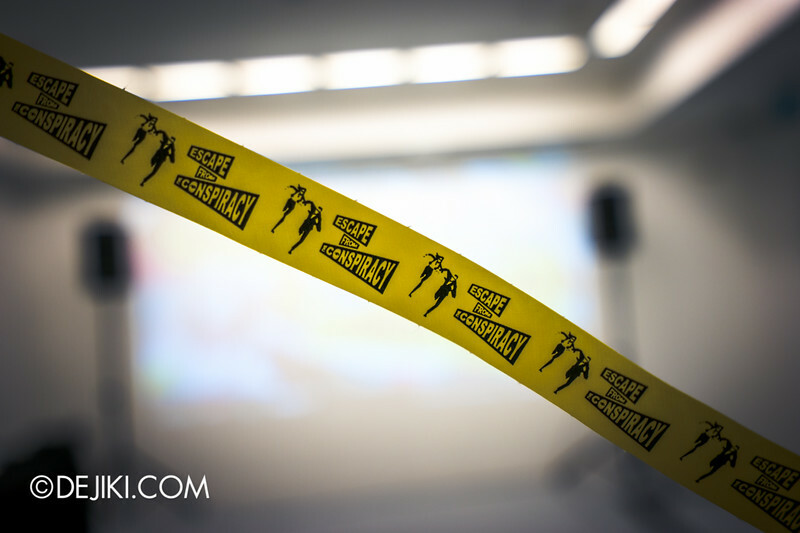 Game briefing commences at 11am, 12pm and 1pm during event dates at the Singapore Art Museum. Regardless of starting time, event stations will close at 6pm. Participants may continue their game experience on another day, however game materials that have already been given out will not be offered again, so please keep your game files. BUY ONLINE: Tickets are available at Peatix. (Please check and select the correct date on the website). *For onsite purchase, please register at the Singapore Art Museum at least 15 minutes before the game briefing at 11am, 12pm and 1pm. Note: Players can complete the mission alone, or in groups as long as all players have tickets to the same mission briefing, irregardless of ticket type.